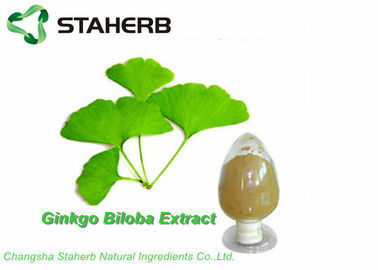 1.Ginkgo biloba leaf extract is an effective anti-oxidant. 2.Ginkgo biloba leaf extract can be used for anti-cancer and preventing cancer. 3.Ginkgo biloba leaf extract can promot cerebral blood circulation and cellular metabolism. 4.Ginkgo biloba leaf extract has the function of lowering blood pressure and high blood fat. 5.Ginkgo biloba leaf extract is tonifying kidney and nourishing brain, whitening and anti-wrinkle. 6.Ginkgo biloba leaf extract is effective on dilating blood vessels, promoting blood circulation and enhancing immunity. Away from moisture, light, oxygen.